Wondering how to make the Law of Attraction work in your life? With the publication of The Secret, the Law of Attraction has become a worldwide phenomenon. Yet, many people are still not getting the results they want and have been left disappointed and confused. 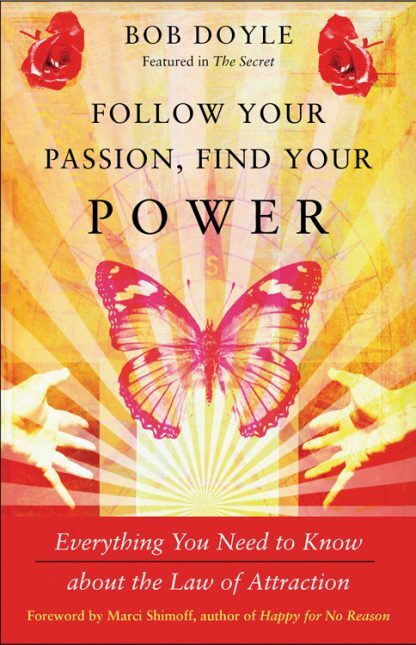 Follow Your Passion, Find Your Power is a down-to�earth, no-hype, motivational approach to take control of your life and get the things you want. Doyle makes it clear that the Law is not a personal development tool you can use the right way or the wrong way; it�s a profound statement of how energy works in the universe. It has to do with paying attention, recognizing where you are, and aggressively striving for what you want. It is all about passion, vision, and purpose. Get clear on your vision for your life, and follow a step-by-step plan to live your life by design. Bob Doyle is the creator and facilitator of the Wealth Beyond Reason Program, a powerful multi-media curriculum on the law of attraction and its practical applications. You can visit him at wealthbeyondreason.com.